There were so many people at the RAW March showcase, that we were upgraded from the Rave Bar to the Eagles Hall. Also, the doors open at 7:30pm, so there will be some time to swing by before the Bass Structures Performance starts. There are going to be many artists across disciplines that will be showing off what they do. And, I am super excited about all of it! Now, until April 23rd, I will be writing a little about each of them, so that you can get an idea of the great things to expect. 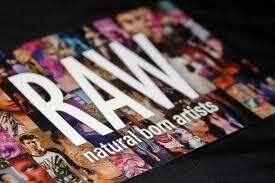 Once again, tickets are $10 and can be purchased via the RAW Artists website. April 25th at The Rave!!! Don’t miss it!